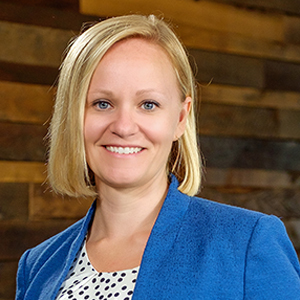 Erin joined the Northeast Indiana Regional Partnership as chief financial officer in the fall of 2015. In this role, she works as the organization’s accountant, focusing on financials, and business goals. Born and raised in Fort Wayne, Erin attended Indiana University-Purdue University Fort Wayne (IPFW), where she received a bachelor of science degree in accounting as well as a master’s degree in business administration. She began working for a local accounting firm while in college, performing bookkeeping, and tax services. After graduating from college, Erin moved to other accounting firms to gain more experience in all aspects of accounting services. At her last position in public accounting, Erin performed audit and tax services for businesses, but more importantly, she focused on providing businesses with consulting services that included business-plan preparation for startups, scenario plans for business owners, and other services focused on the creation and success of businesses. Erin is a big fan of summertime in Northeast Indiana and spends a lot of time on the lake and cruising in the family boat. If it’s football season, you might find Erin at a Notre Dame game, cheering on the Irish. Outside of work, Erin enjoys spending time with her two girls and her husband, Don.